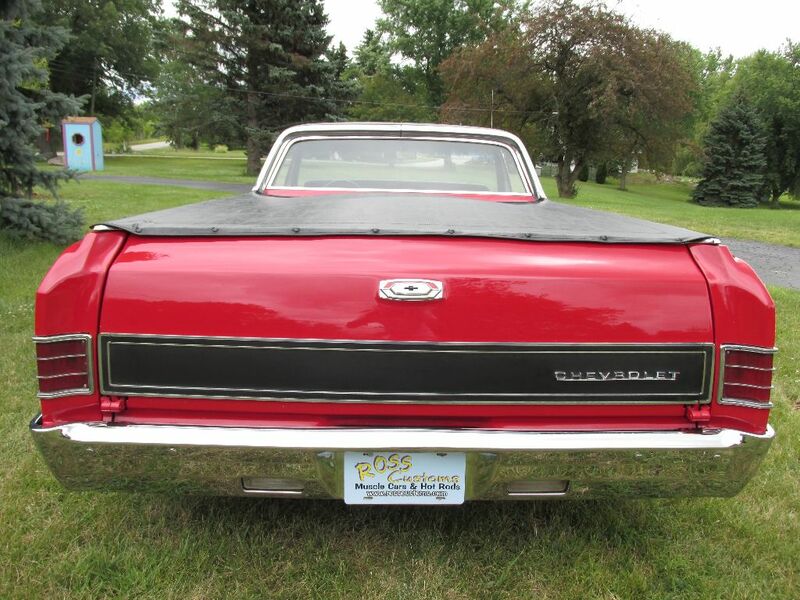 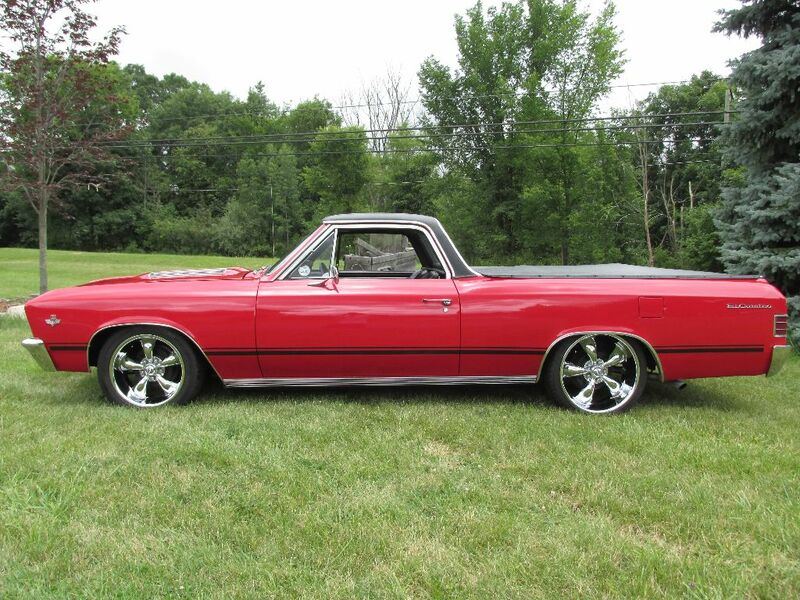 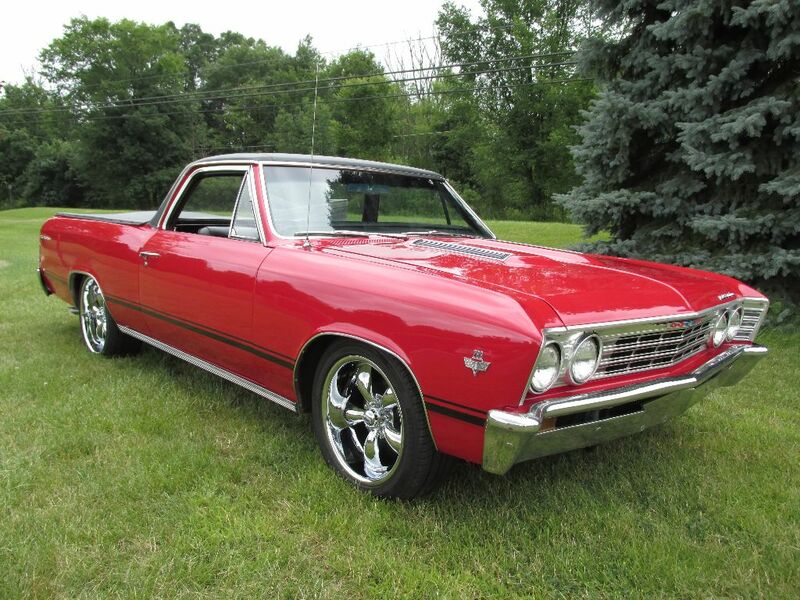 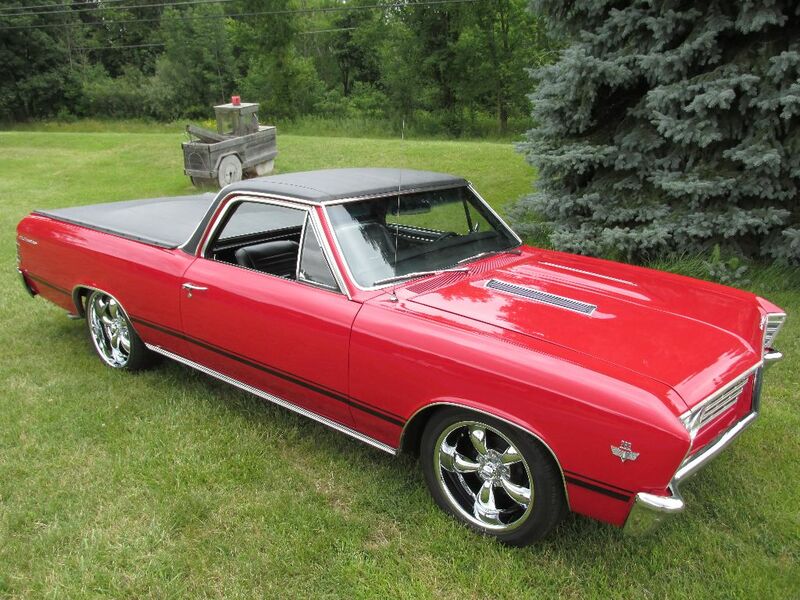 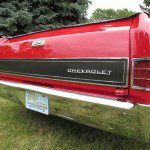 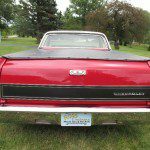 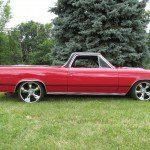 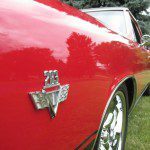 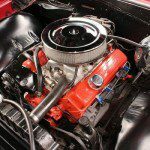 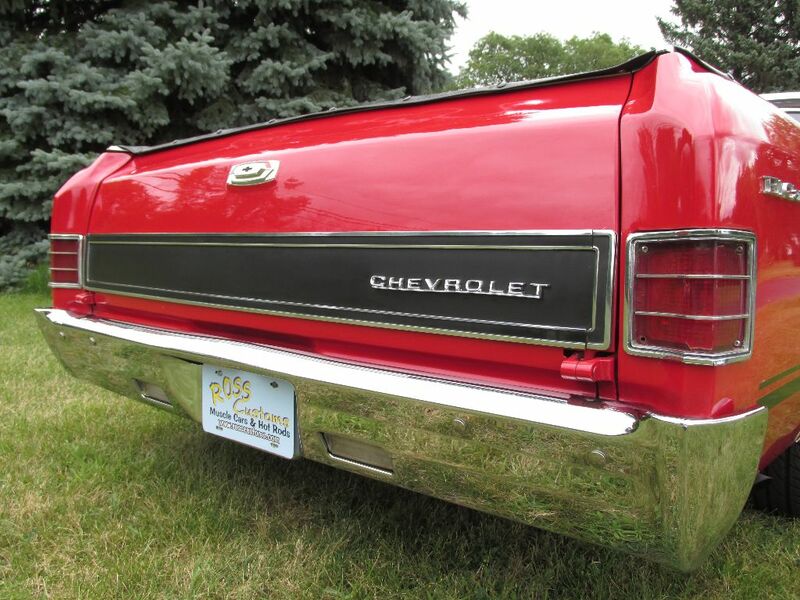 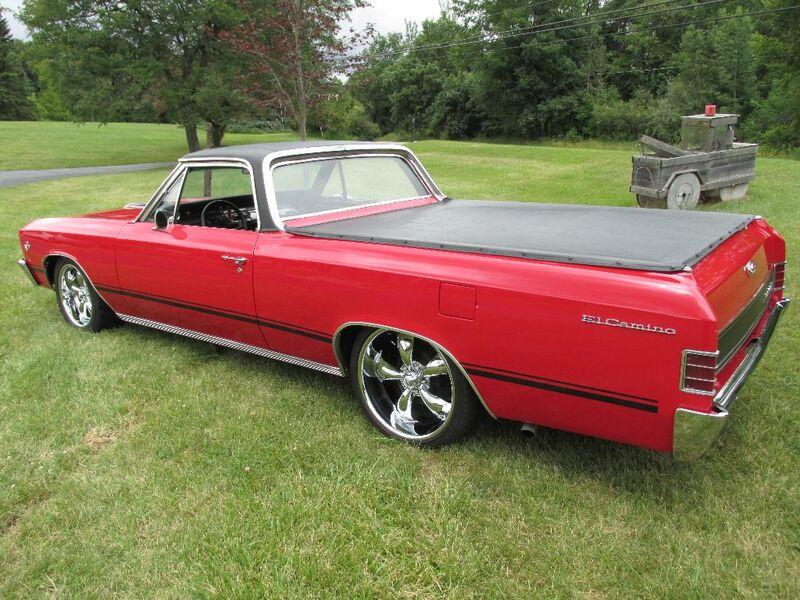 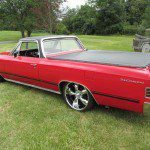 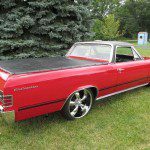 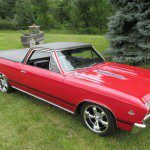 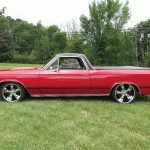 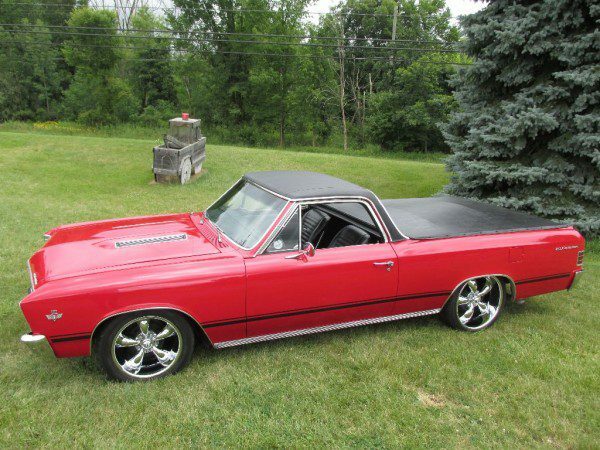 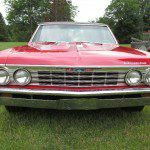 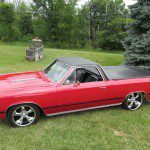 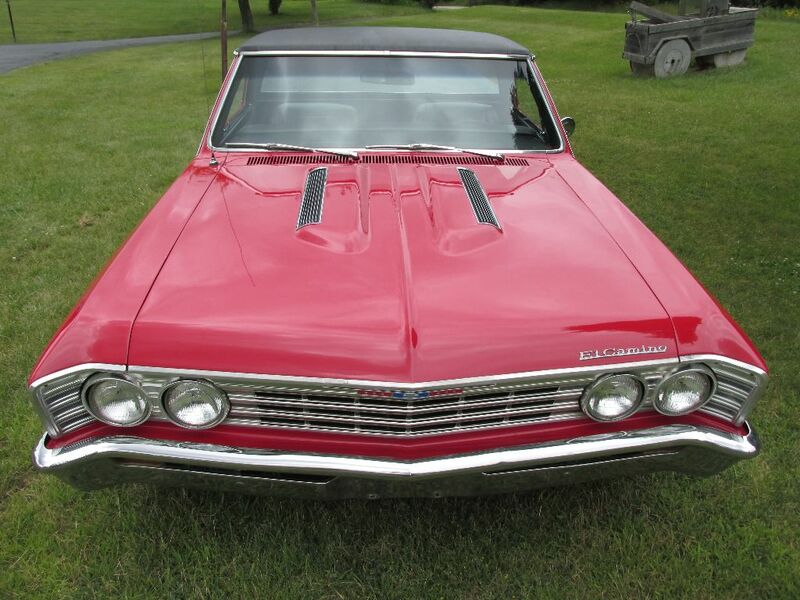 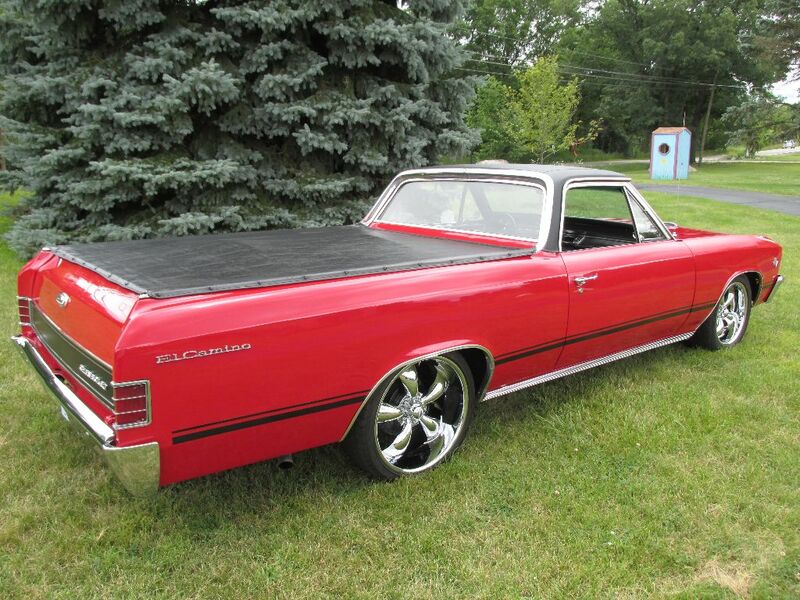 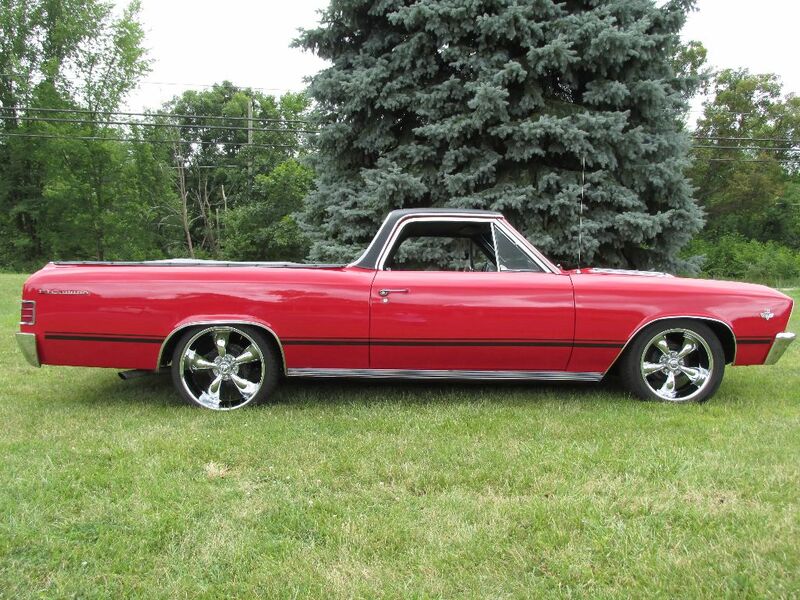 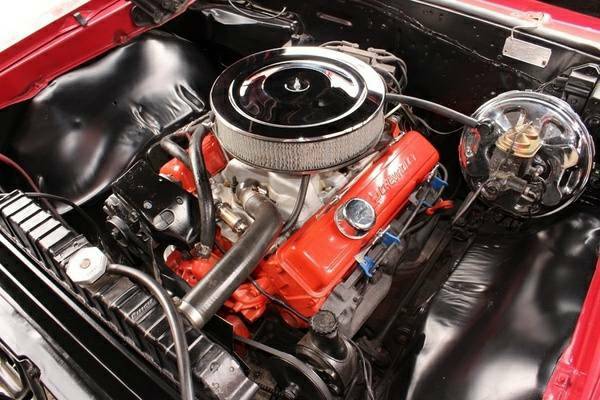 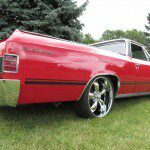 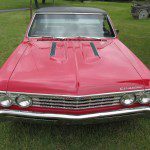 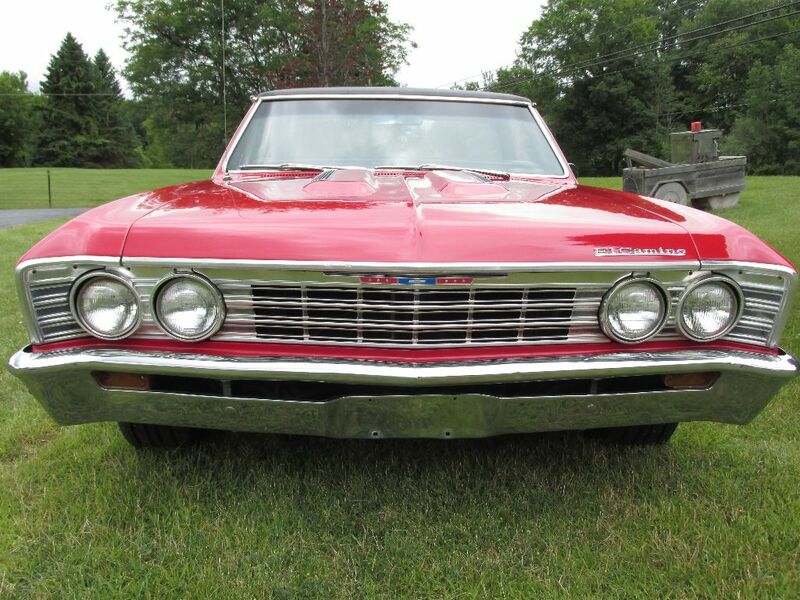 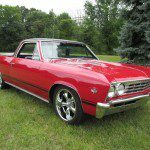 This is a Slick 1967 El Camino SS Clone, Under the hood is a Nice sounding 350ci motor with an aluminum intake, Edelbrock Carberator, factory valve covers and exhaust manifolds, Factory style dual exhaust, Power Brakes and power steering. 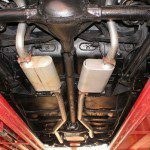 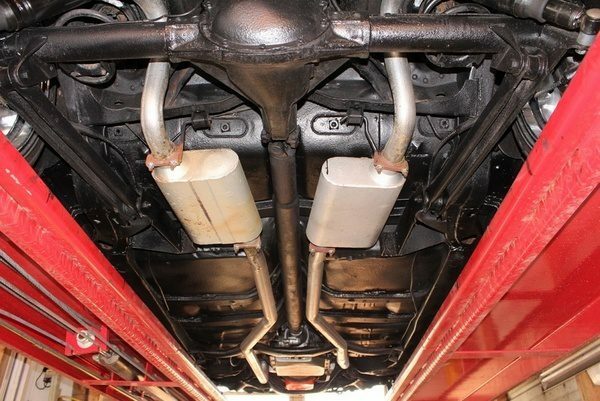 350 Turbo trans and 10 bolt rear end. 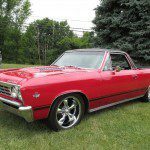 The Exterior of the the car is Red and is laser straight and glass like paint, Black SS stripes and a custom black bed cover. 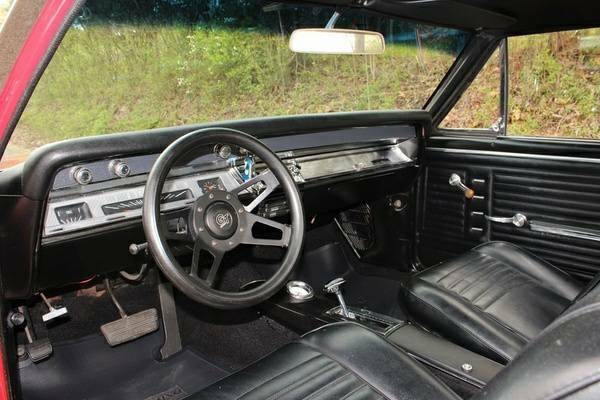 Interior is gorgeous, Black Bucket seats and Console. 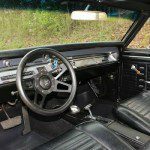 Aftermarket retro fit radio in dash. 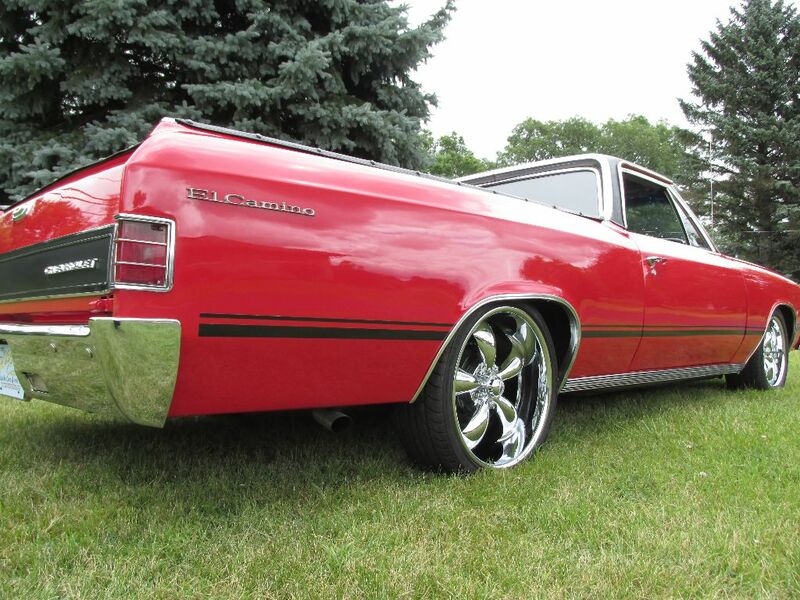 Car has a brand New set of Coy Wheels, 17’s in front and 20’s in rear giving it the new Resto-Mod styling. 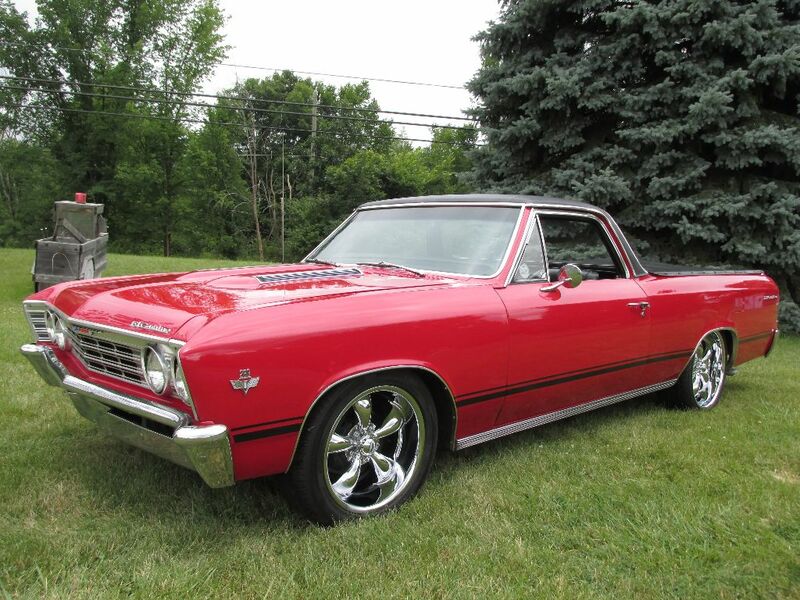 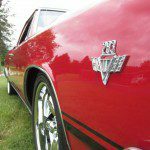 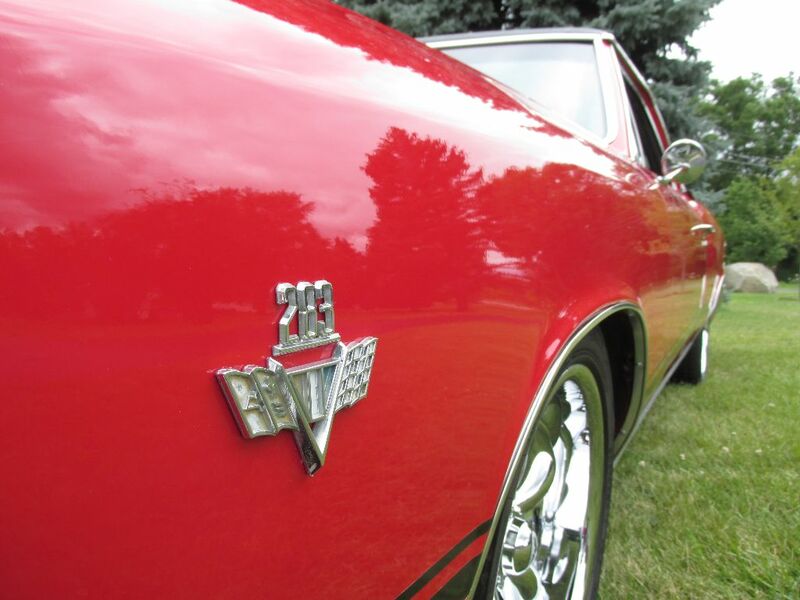 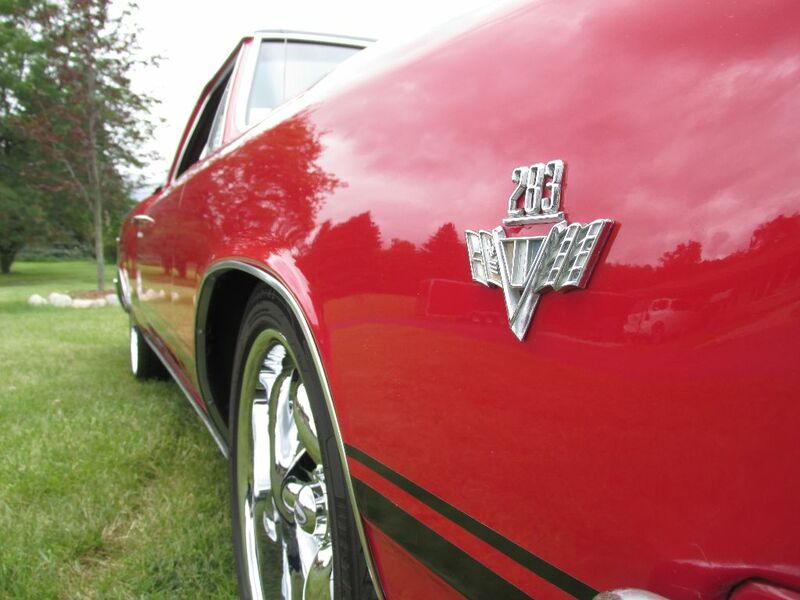 This car runs and drives great, Its ready for any Cruise or local Car show.